The Newcastle Diet is based on research undertaken by Britain’s Newcastle University on weight loss and diabetes. The study involved eleven patients with Type 2 diabetes who were placed on a very strict low calorie diet. After being on the diet for two months the majority of patients no longer showed any signs of having diabetes. They remained diabetes free even 3 months after resuming a normal diet. The participants were under doctor’s supervision while they consumed 800 calories per day for 8 weeks. Three months after completion of the study 7 out of the 11 subjects were regarded as being free of diabetes. A minimum of 2 liters of water. Optifast meal replacement shakes and soups, cabbage, celery, broccoli, bean sprouts, mushrooms, water chestnuts, cauliflower, onions, leeks, radish, tomatoes, cucumber, lettuce, arugula, artichoke, brussel sprouts, carrots, peppers, herbs and spices, low sodium vegetable stock, fat free salad dressing. Exercise is not recommended because you don’t want to place any unnecessary stress on your body during this time. However, dieters in the study were encouraged to maintain their normal levels of daily physical activity. Optifast Meal Replacement Shakes cost about $80 for a case of 27. Optifast is similar to Medifast which is more popular in the USA. Offers great promise for the possibility of complete recovery from Type 2 diabetes. Study participants experienced improvements in well being, blood glucose control and weight loss. Fast results that occur when commencing the diet provide motivation to continue with a healthy lifestyle. Encourages a high consumption of fresh vegetables. VLCDs may be dangerous unless supervised by a medical professional. Study participants experienced negative symptoms including headaches, dizziness, fatigue and hunger. (These generally improve after two to four days on the program). Diet is extremely restrictive and may quickly become monotonous. Requires the use of liquid meal replacements. Diet is nutritionally inadequate and may promote nutrient deficiencies. Claims made regarding the precise mechanism of action of the diet have not been adequately proven. May be possible to achieve similar benefits with a regular healthy diet and exercise. The Newcastle Diet has demonstrated a potential to provide a complete resolution of Type 2 Diabetes within just eight weeks. Additionally it is imperative that dieters continue with a healthy lifestyle to maintain the benefits of this program. Use the Newcastle Diet only under medical supervision. I am currently on this diet in Canada. 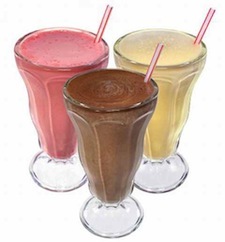 I use 2 “Premier Protein Drinks” (7 different flavours) and a vitamin supplement daily. I make a Cabbage & Vegetable soup (2-3 bowls daily) as well as the occasional stir fry. < 600 calories daily but I do use salt along with many other spices. It is a boring diet (I am NOT a vegetarian) but if one sticks to it they can loose a lot of weight. My Dr. said "Go For It". The first 7 days, I lost 11.6 pounds from 270 pounds. If you have the determination to stick to the diet without cheating, you should see success after 8 to 12 weeks. I'll go the 12 weeks as I do not have easy access to a MRI to see if the fat has gone from my pancreas or liver. The trick after loosing the weight, is to do the 2/3 diet and watch that weight. If it goes up 3 pounds, diet to get it off. Way, WAY, too easy to gain the weight back. Wishing all success on this diet. I am currently trying to get on this programme. I am type 2 and have mentioned this study to my doctor and always been told to keep taking the pills.can you please help? I was diagnosed with type 2 diabetes in April last year. I had already started to change my lifestyle but then my consultant recommended the 600kcal per day diet which I stuck to religiously. White fish and spinach became my staple and plenty of water. By the end of 8 weeks my doctor declared I had lost 2 stone, I no longer had type 2 diabetes, my blood pressure was back to normal – I used to run marathons until I got injured and always had high blood pressure . First time in 25 years that my doctor has said blood pressure was normal. How did you get away with white fish? It is a protein and not in the Newcastle University program. Calorie restriction that is key for short term. ( 8 weeks) I made up my own diet basing it on real food ( mostly fish and shellfish and vegetables ) as I hate the meal replacements. It worked. But I understand that the ready made replacements are much easier and reliable for many and have vitamins and minerals added. I supplemented.